The Perfect Slow Cooker Ratatouille Recipe is easy to put together, jam packed full of seasonal vegetables cooked just right, and oh so comforting during those cold winter months. Lately I have been seeing all these beautiful images of ratatouille with perfect spiraled vegetables, arranged just so. They really do look like works of art with their little zucchini rosettes twirling around in a fancy dish. As beautiful as they are, I’m sorry to say those dishes take just as long as a work of art to prepare, and I for one do not have the patience…well I would if I didn’t have 3 under 5 vying for attention, food and whatever else they can get from me! What Makes the Perfect Ratatouille Recipe? To me the perfect ratatouille recipe is easy to put together, jam-packed full of seasonal vegetables cooked just right, and oh so comforting during those cold winter months. It comes together in a cinch, and doesn’t require hours of modeling vegetables into perfect little shapes I won’t want to cut into after the cooking process has been completed. 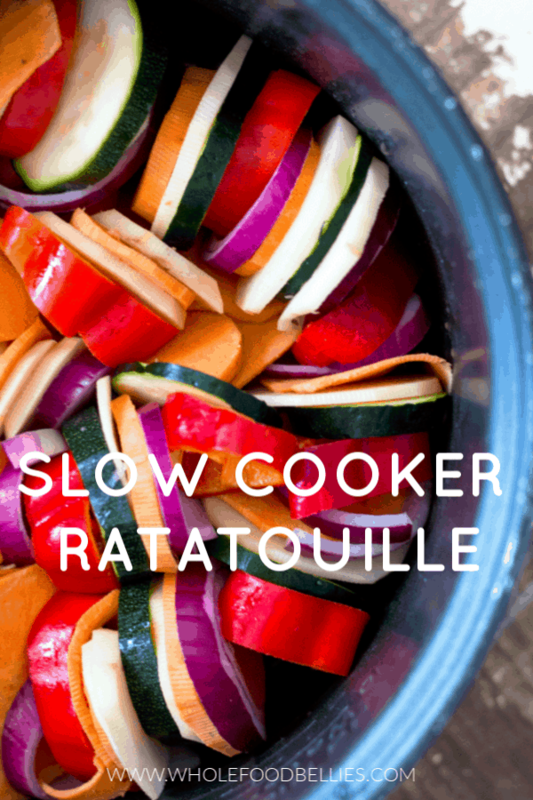 And this Perfect Slow Cooker Ratatouille Recipe fits the bill because…drumroll please, we are making our ratatouille in the slow cooker! I need to clarify here, I am not promising the finesse of a perfectly arranged French stunner. However the flavors will be there, the house will smell amazing, and you get to multitask. I am thinking ahead to the Holiday season when you have 6 batches of cookies waiting to go into the oven, a couple of pots on the stovetop, events to attend, and children all hyped up from the excitement of the whole thing. 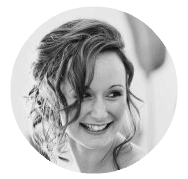 In those situations, my friends’, slow cookers are total lifesavers! If you don’t want too many gadgets in the kitchen you can always use the slow cook setting on your pressure cooker/instant pot instead. Most have them and they work very well! 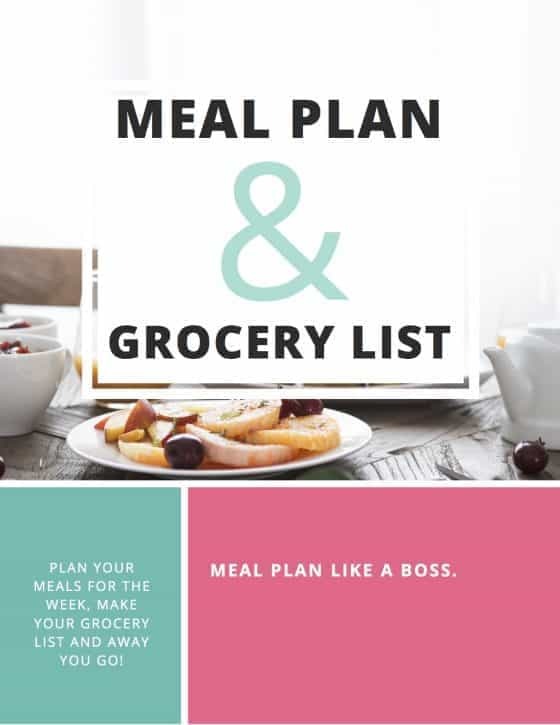 I have tried this particular recipe in my instant pot and a Philips multicooker and it turned out perfectly both times. 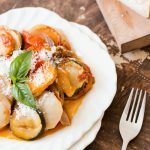 If you try out my Slow Cooker Ratatouille Recipe be sure to pop back and leave a comment to let me know how you went, I always love to hear from you! Happy Eating. Slice the potatoes, sweet potato, red bell peppers, and red onion into thin rounds (about 1/8 inch). Slice the zucchini and squash into slightly thicker rounds (about 1/2 inch). Pour one cup of the pasta sauce into the bottom of your slow cooker, then overlap the veggies in a circular pattern around the edges (i.e. potato, followed by sweet potato, followed by zucchini, bell peppers and onion, and repeat) until you’ve used them all. After each row add a dash of salt, pepper, and a bit of the minced garlic. Then layer more veg on top. Pour the rest of the sauce on top and set the slow cooker on high for 3 hours. To serve, garnish with some fresh basil and parmigiana region. Leftovers will keep for about 3 days in the fridge. For a homemade marinara sauce recipe that works just perfectly try out this one, and if you don't have heirloom tomatoes just sub in another variety. Being a truck driver and eating healthy go together very well since I have my crockpot on board. I can’t wait to try this recipe out! Oh wow, I love that you bring your crock pot on the road with you, I would never have thought of a truck driver having a crockpot on board, but it makes total sense!! So happy you get to eat well while out working hard!! What an incredible dinner idea! I’ve been wanting to try making ratatouille for so long! Loads of veggies in a crock pot! Love it! Love that this is made in a slow cooker. It looks awesome!! Slow cookers make life so much easier!! Printing and pinning! 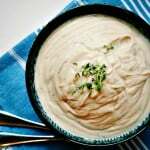 This combines foods I love–and my favorite cooking method, so thank you very very much! Oh yay, hope you love it!! Slow cooking is one of my favorite methods as well, especially since the kids came along and life just got so busy!